The Los Angeles Auto Show is the last major auto show of the year, which means it's the last chance for manufacturers to make a splash before kicking off the next year in Detroit. For 2016, that means a healthy mix of badass cars, intriguing concepts, and some out-of-the-box marketing gimmicks. To properly explain what the I-PACE is, think of it as the end result of Jaguar's designers hearing one-too-many Tesla fans rave about the Model X. With a zero-to-60 time of around four seconds, a 220-mile range on a single full charge (which takes just two hours), and a masterclass of Jaguar design both inside and out, the I-PACE isn't a shot across Tesla's bow, it's a taser gun pointed squarely at the Falcon Wing doors. 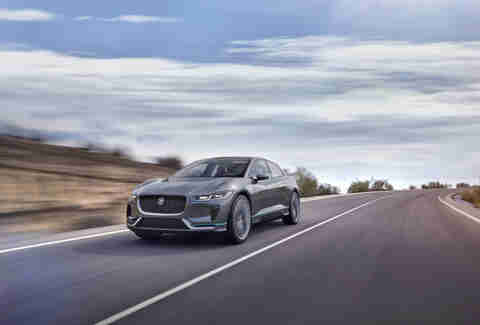 Amazingly, Jaguar has already confirmed the I-PACE will see production, and will hit the roads beginning in 2018. 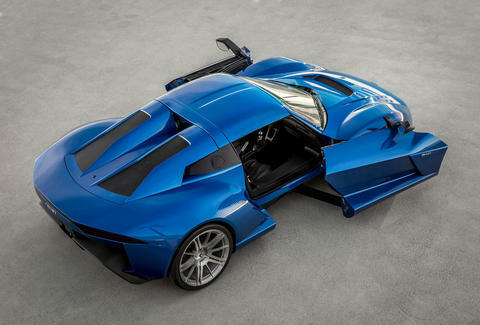 Last year, American startup Rezvani began making its first car, the Beast. It's a very lightweight (under 2,000lbs), very powerful (500hp), and very expensive ($200,000) sports car that comes with Apple CarPlay and almost nothing else. 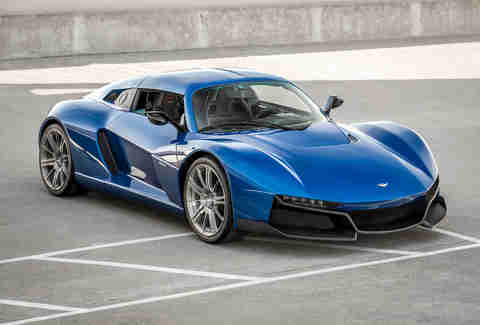 Now, the company's follow-up to that bare-bones performance car is an evolution it's calling the Beast Alpha. The removable top covers a much more refined interior, and the performance is every bit as good, but, um... look at the way those doors open. Car enthusiasts wept when the likes of BMW and Porsche first began making SUVs, but the world kept spinning. Now, it's virtually impossible to be financially successful -- regardless of brand image -- without some sort of SUV in the lineup. 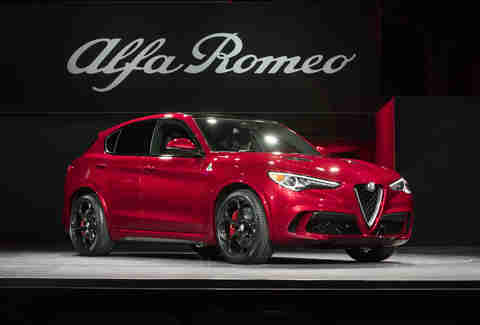 Enter the Alfa Romeo Stelvio. 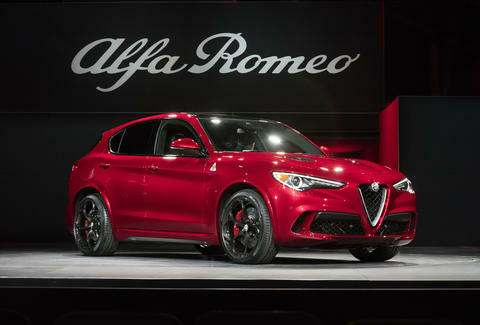 Named after the famed Stelvio Pass in the mountains of Northern Italy, Alfa's SUV is an all-wheel-drive, 505hp monster that's set to truly go toe-to-toe with the Porsche Cayennes of the world. No, Lexus isn't going to sell the Sriracha IS, but as marketing ideas go, it's pretty thorough. The company tapped the guys at West Coast Customs to build out the Sriracha-themed car, and they went all-in on the design. The detail work extends beyond just some badging and the glittery paint to embroidered seats and green detail work all around the car. The drive mode selection button has been replaced with Sriracha's famous rooster, and 43 bottles of the sauce occupy the trunk. In and of itself, Porsche unveiling a new race car isn't necessarily news. The company has been racing since its inception, after all. The 911 RSR that just debuted, however, is mid-engined, to achieve a better balance during cornering. For Porsche, that's huge, since it bucks decades upon decades of rear-engined 911 tradition. It's far too early to say if the future might hold the same development for the road-going 911s, but it certainly stands to reason. 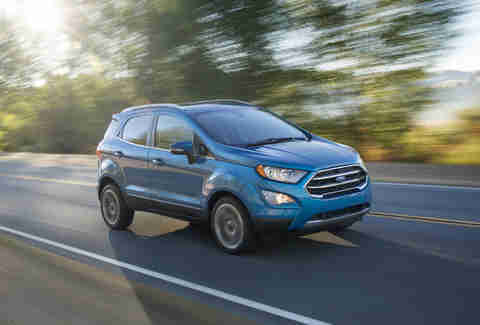 The EcoSport is a tiny crossover that has been on the roads of Europe for a while now. 2018 brings with it a new generation of the EcoSport, and Ford's bringing it stateside. 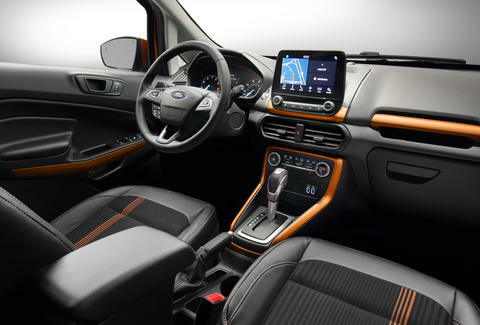 Loosely based on the also-tiny Fiesta, the car is oddly aimed at two distinctly different groups: millennials (hence the option of a 600-plus-watt stereo from B&O), and baby boomers looking to downsize their larger SUVs. As a result of the latter group, you can expect the higher-package tiers of the EcoSport to be finished off reasonably well. 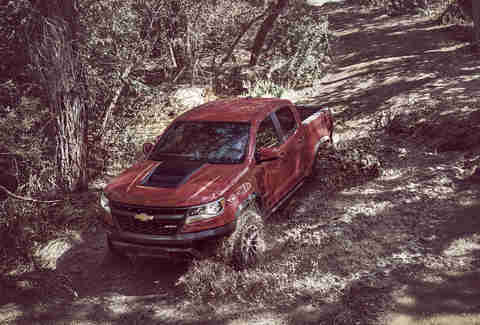 What once started out as Chevy's small truck offering -- the Colorado -- is now a bona fide player in the world of high-performance off-roading. Its suspension features the same technology GM previously trotted out on the Corvette and Camaro Z/28, a state-of-the-art design that allows much greater adaptability on the fly. Simply put, the ZR2 is advanced enough that it can be a comfortable daily driver, yet still take all the punishment you can give it while crossing the wilderness at a high rate of speed. 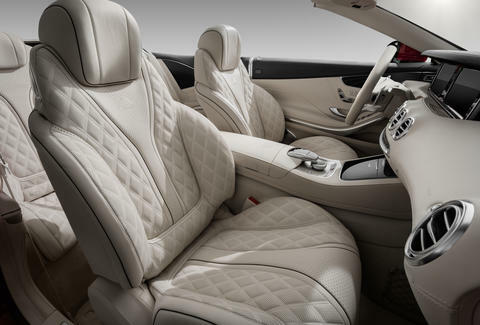 There was a time when Maybach went toe-to-gilded-toe with Rolls-Royce for the honor of being the world's most luxurious car brand. Today, the name continues as the cherry on top of Mercedes. 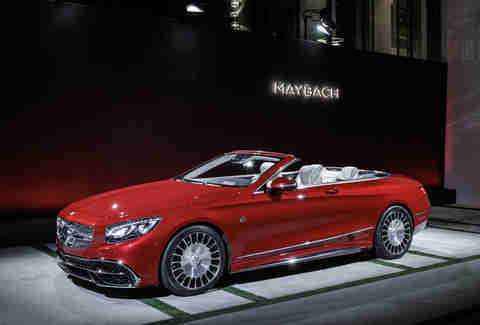 With that in mind, the Mercedes-Maybach S650 Cabriolet is, well, an extra, extra-nice Mercedes. Just 300 of these will be made -- 75 of which are coming stateside -- at a cost likely to be well over $300,000 each. For that, you get Mercedes' top-of-the-line, 620hp V12, subtle tweaks around the car's exterior, a trio of exclusive colors, and a handcrafted interior that'll rival your neighbor's Bentley. 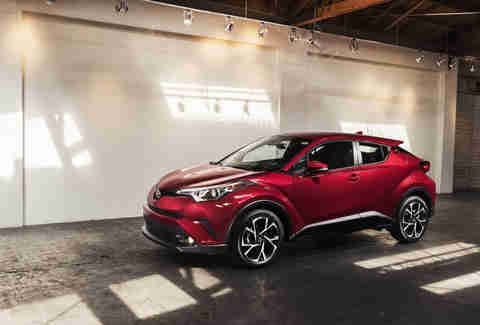 Headed to showrooms by 2018, the C-HR (that's Coupe High-Rider) will go toe-to-toe with Nissan's Juke and the aforementioned Ford EcoSport, and come with a ton of connectivity and active safety features as standard. 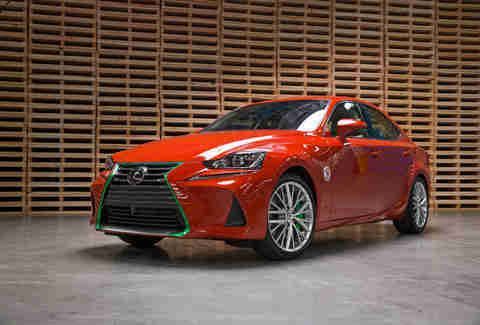 Interestingly, Toyota's engineers paid quite a bit of attention to handling feel, developing the suspension at the famed Nurburgring in Germany with the intent of making it seem more like a sports car than a small crossover SUV once you hit the twisty bits. 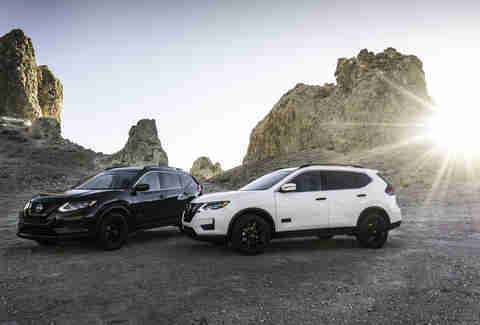 Nissan's Rogue has been around for years, of course, but the new generation of Rogue just debuted with one key component its predecessors didn't have: a built-in marketing sponsorship with Star Wars. With Rogue One: A Star Wars Story's debut just a month away, Nissan went all-in with a limited edition of the SUV. 5,000 units are coming to the US (and Canada gets 400, if you're in the process of emigrating), and are available in black or white with plenty of blacked out trim. 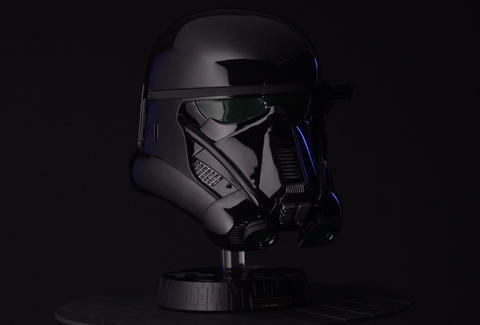 Star Wars logos abound on places like door sills, and the piece de resistance is a life-sized "Death Trooper" helmet. Aaron Miller is the Cars editor for Thrillist, and can be found on Twitter and Facebook. He would like some alone time with that 911 RSR.